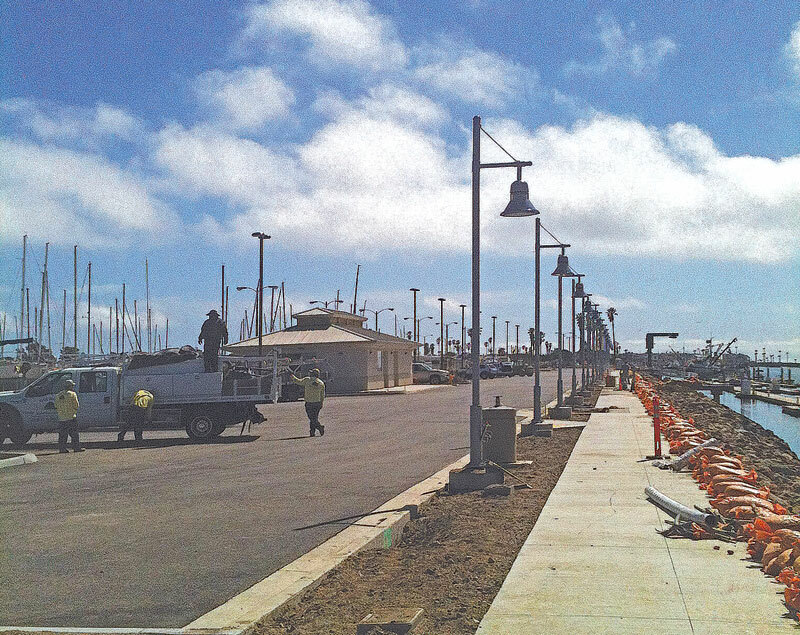 CHANNEL ISLANDS HARBOR — A grand reopening is planned this month for the completely revamped Channel Islands Landing Marina and Boatyard, located at 3821 Victoria Ave., on the east side of Channel Islands Harbor. The complete reconstruction of the 14.5-acre site that includes a yacht marina, a boat services yard, dry storage for boats and Catalina Yacht Brokerage had been schedule to finish last September, but permitting delays added about 7 months to the construction schedule. Phase 2 will include the addition of two new buildings for the boatyard and marine services, along with retail space. The $8.5 million makeover includes an increase in boat berthing capacity from 91 to 157 slips, the addition of two new restroom/shower facilities and a laundry room for slip renters, as well as improved dockside parking. Also, boaters and other visitors will have a wonderful new 1,500 linear feet harbor-side promenade to stroll and enjoy the views of the harbor. Visitors will enjoy the new eco-friendly landscaping and modern lighting, as well. The boatyard has undergone a facelift, too, including new hoist piers to support a 75-ton Travelift. The landing currently has a lift capacity of 55 tons. And the entire site has been equipped with state-of-the-art bio filters, to collect and filter water so that no runoff reaches harbor waters. Bellingham Marine built the new concrete docks and slips that range in size from 22 to 50 feet, with 46 percent of the berths designated for boats 32 feet and smaller. To better accommodate transient boaters, 15 new slips are being added. According to Nahm, the redesign of the site plan has allowed for increased storage capacity for trailerable boats from 325 to 400 with hoisting services that can accommodate boats weighing up to 8,000 pounds. For more information, call (805) 985-6059.